The feeds have been pretty quiet this week. Jessica and Elena have been doing each other's makeup. Kevin has been holding court in the backyard. Raven has been prancing around demanding attention. Paul has yet to stop talking. Oh, and Dominique has been doing a one-person telethon in the apple room. Ok, there was one incident earlier in the week. A pool game got a little heated, and Mark tossed hot sauce in Josh's face. This didn't go over well, as we know that Josh feels anything is "disrespectful" to his manhood. In this case, he's right. With so little action, the online community has been focusing on the events that will occur at the end of the week. How will the "Halting Hex" work? Can it be used to save Dominique or Jessica from this week's eviction? How will this play into this week's "Battle Back" show? I've given all of these questions a lot of thought over the last 24 hours. I've also gone back to last summer to look at how they handled the "Battle Back" that brought Victor back into the house, along with the regular episodes that surrounded the special Friday night show that televised the competitions that allowed his return. I'm sure I won't have this completely spelled out, but I do think I am pretty close to figuring out the sequence of events. First off, tonight (Wednesday) will be a typical midweek show. There will be the reactions to the nominations of Dominique and Jessica, the surprise Friday night POV competition, Dominique's "house meeting", and Monday's POV meeting. It should be a fun episode, especially the house meeting section. My prediction is that the religious aspect of Dom's complaint will be edited out, but will focus on the snake/infiltrator complaint. For the most part, tomorrow night's episode will be a typical eviction. There will be footage from the house that will make it look like Dominique has a chance to get the needed votes, along with Jessica ingratiating herself with various former enemies such as Elena. They will then have the normal eviction, with Julie again hinting to the evicted person that they could be coming right back into the house. Finally, she'll announce to the house something cryptic about how more twists could be coming soon. That's right. I am saying here that the Hex will not affect this week's eviction. A simple analysis says it's very unlikely. It just doesn't add up. The voting may have ended today, but it just doesn't work for the time frame or the Battle Back scenario. The Battle Back is clearly the "curse" of this week's temptation. The winner will get that ability to halt an upcoming eviction, but the unsaid curse to that winner will be the returning player. Battle Back needs four competitors, especially given how CBS edits it together to make it look like a marathon of sorts. Halting this week's eviction would result in only three players. Production also wants that statement from Julie to the house about more twists to create tension and conversation in the house. It just doesn't work to have the temptation happen before Dom or Jessica is evicted. Most of the rest of the show will be just like last year's version. Cameron will compete against Jillian, and undoubtedly win. (Seriously, I see no scenario where Jillian wins anything.) The winner of that competition will then go against Cody, and the final round will see that comp's victor up against this week's evictee (Jessica or Dominique). The final segment on this show will see the triumphant return to the house of that Battle Back winner. What about a new HOH? Here's what they did last year. The setup of that final Battle Back competition was basically reused for that week's HOH competition. This was also filmed during the feed blackout, and broadcast on Sunday's episode. Of course, those of who watch the feeds will quickly figure out who won, and we'll be talking in detail about this on Saturday's Big Brother Gossip Show. So...what do you think of that scenario? Does it make sense to you? Who do you want to see come back? Ahhh I forgot we didnt have a new HoH until after Victor returned. And wouldn't it be odd if Dominique wins the vote - is evicted and someone else gets the hex - then she returns but doesn't get the hex of course. I'm betting they don't announce she got the most even if she did. I love the breakdown of the events that will occur soon. Thanks for clearly up that the DOT will most likely be used on an upcoming eviction and not Thursday night ! I predict that Cody will win the Battle Back. I'm interested in seeing the new targets established in the house, once he returns . I'll have to disagree with timeline. Votes ended at noon today (July 19th) and winner will be notified at some point today as feeds go dark. 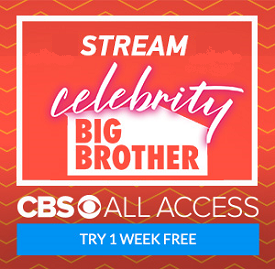 There is more than enough time for most of the show on Thursday to focus on the DoT leading into live eviction in the last 10 minutes of the show since no HoH comp will be done Thurs Night. Instead of interviewing various people on eviction night, edits can be made for setting up a DoT mega showdown with Dom and Paul before reveal. Also, Julie already revealed that the winner of DoT will be revealed on Thursday's show so we will know who won. Additionally, there seems to be another rumored temptation floating around that will affect if the Battle Back winner will be returning or not. Dom won DoT and they are setting it up for Thurs. according to the dot results posted a while ago....Alex won it! Actually, it appears that Dom did indeed win. Where is crazy Josh? Did I miss something?